Scholars have debated the meaning, but when interviewed Magritte explained that what he wanted to say was that the painting was exactly that, just a painting, not an actual pipe. Partly because I studied French and can hear the accent in my head, and partly because of the seeming contradiction, this painting makes me laugh out loud every time. Nevertheless, it makes a valid point about artwork: it’s just a representation. But the representation can also have an additional message. The 2018 Members Show at the Lander Art Center is an eclectic display of more than 100 artworks created by 35 artists. Some of these artworks have additional messages, some are simply traditional landscape and animal imagery. 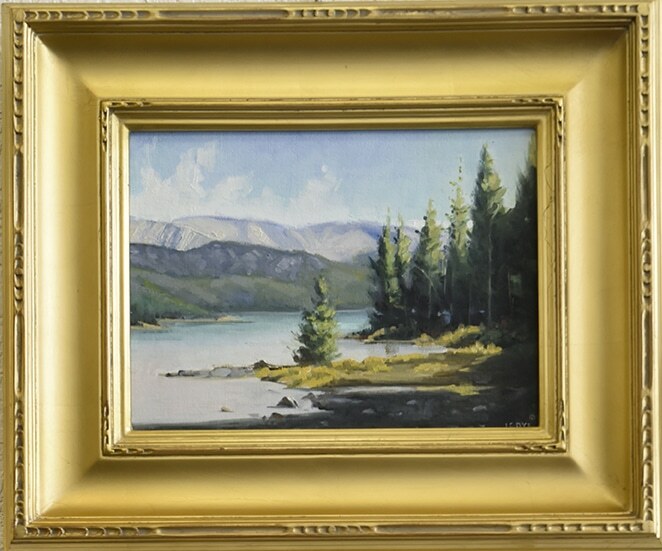 The quality of the brushwork and subtle humor in the titles of David Zenger’s oils and the classic serenity and gilded frames of J.C. Dye are notable among the landscapes. These paintings seem mostly to be about the artists’ connection to a place and the desire to study it through artwork. 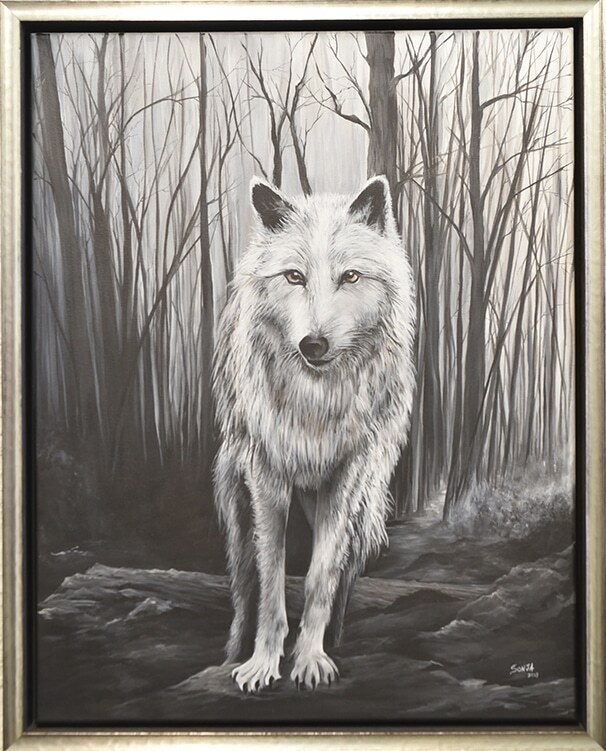 On the other hand, Embers, an acrylic painting by Sonja Jackson, depicts a grey monochrome wolf standing amid burnt trees. Through the artwork, Jackson nods to two controversial local issues of our day: wolves and fires. After reintroduction to Yellowstone in 1995, wolves seem either to be hated, feared, or loved for their hunting habits and ability to thrive. Fires in the West also seem to have a similar effect, being hated and feared and there is debate about prescribed burning to avoid community destruction. We are not sure what message the artist intends simply upon viewing, but the piece creates questions and raises awareness of these issues. “Tessellations” Series by Hannah Dwyer encourages the viewer to lean in and look closely at the hundreds of tiny french knots she has embroidered to represent lichens growing on rocks. 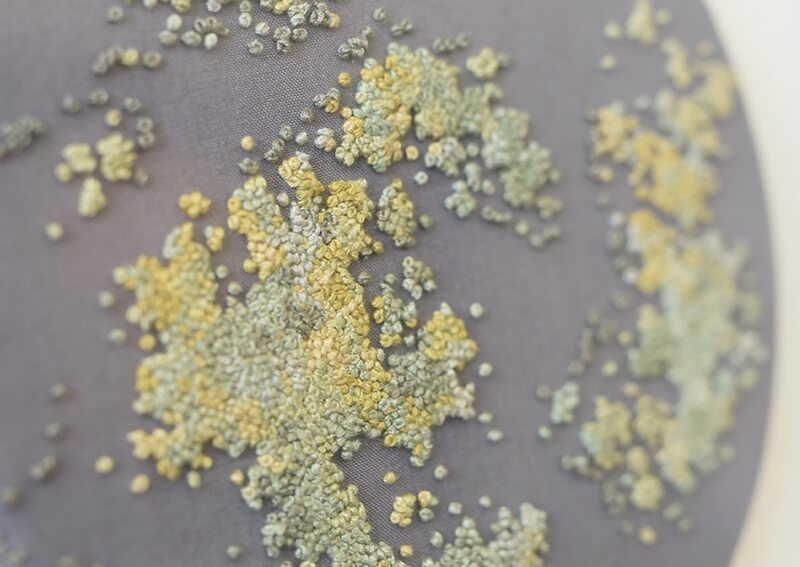 Then we read her statement about the leisurely pace of both the growth of lichens and embroidery and realize that “slow down and take a look,” is exactly what she wants to say with her abstract work. 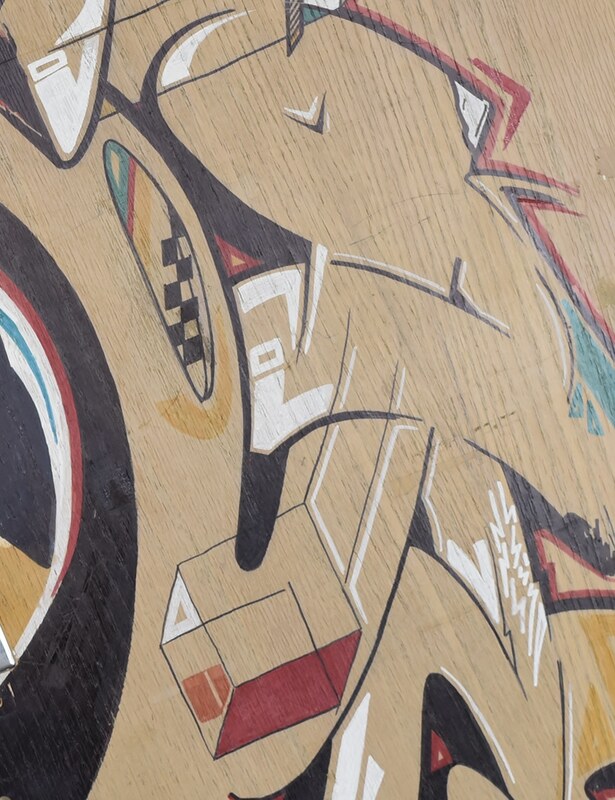 Jordan Carr’s graffiti on a door, “Heights Woodgrain”, reminds us that urban culture influences even the young adults of rural Lander. As a big city transplant having raised my own family here in Lander, I see this and I understand. Small towns, despite being safe and lovely, are just that: small. Exhibits like the member’s show remind us that one of the central purposes of art is to convey a meaning. Artwork challenges us to interpret the messages ourselves, using the artist’s work and our own associations to make sense of them. Founded in 2009, the Lander Art Center Members Show has become a must see show in central Wyoming and an important exhibition to be a part of for regional artists. Locals attend the Members Show opening for an update on what projects regional artists are working on and for the opportunity to purchase new local artwork. Artists participate to be a part of a professionally displayed art gallery and in the process support the Lander Art Center. Love the arts? Support arts coverage with a donation today. 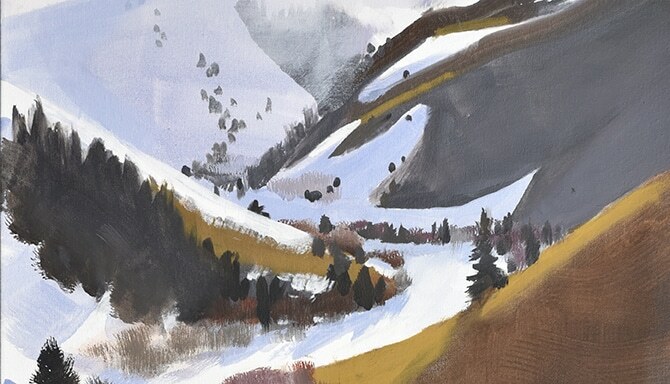 The original purpose of the Lander Art Center Members show was to raise awareness of LAC membership and to provide an annual opportunity for Wyoming-regional professional and emerging artists to display their work in a public exhibition. Artists must be a member of the Lander Art Center to participate. This is easily done. The exhibit is largely curated by the artists themselves. The show features new artists each year and multiple out-of-town artists from Laramie, Riverton, and California. The Lander Art Center is at 224 Main St. in Lander. The gallery is open 10 a.m. to 6 p.m. Tuesday through Thursday and 10 a.m. to 4 p.m. Friday and Saturday. The show runs from April 13-May 26. Dannine Donaho is an artist living and working in Lander. She owns Snow Deep Designs.